A host of talent local to Wirksworth takes centre stage for this year’s performance programme, which is hosted by Town Hall Events in partnership with the Festival. A special interpretation of the highly-acclaimed HILL leads the home-grown line up which also includes dance, music, poetry, film, theatre and special children’s workshops alongside acts from further afield. HILL is the story of one Derbyshire hill told in photography, sculpture, poetry, film and song by a gathering of five artists. This performance installation interpretation of HILL, directed by Debi Hedderwick, has been produced especially for this year’s Festival. It is a unique promenade experience of HILL featuring photography by Kate Bellis, film by Gavin Repton, live poetry from Lucy Peacock, and music by Carol Fieldhouse and Brian Boothby. HILL is a collaboration of local artists with a special interpretation showing on 20 September. 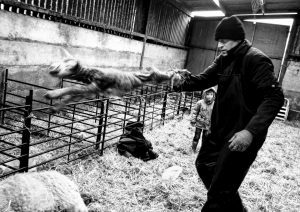 Taken from HILL, ‘Ian Lomas Swinging a Lamb to Release Fluid from its Lungs, Watched by his Nephew, Josh, 24th April 2016′. 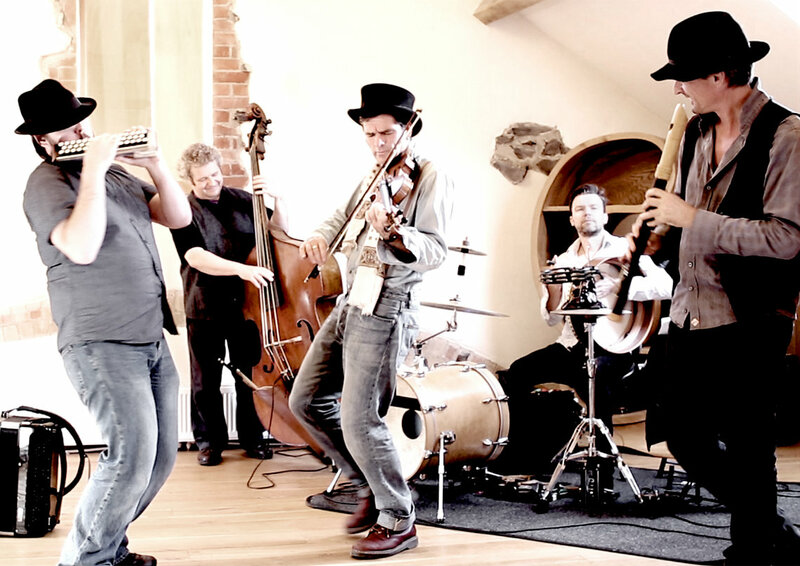 There will be tunes from the local Dodo Street Band (pictured at top of the page) as well as a night of urban-infused live music, spanning hip hop, soul, ska, reggae, punk and rock as part of Rebel Sound. The Climax Blues Band will be making their way into town celebrating 50 years with original songs from their new album. There’s the chance to see the beautiful, emotionally charged feature film The Romeo and Juliet Project by Wirksworth youth dance company, INdependDANCE, shown right. Wirksworth’s new theatre company The Wild and the Innocent perform their debut play The Flight alongside Eve Hedderwick Turner‘s Super at a special evening titled TAKE OFF! Master puppeteer Stephen Mottram plays with how we see things in The Parachute, performance poet Elvis McGonagall will be doing what he does best in Viva Loch Lomond and, the brilliant Mandala Theatre Company bring their production Castaways, a story of friendship, trauma and tribal loyalties. Check out the listings for the full line up and to book tickets on line. Tickets can also be bought at the Festival Box Office at Traid Links, Wirksworth either in person or by calling 01629 824393.